I believe that wines made from the Sangiovese grape are some of the best wines to drink with food. Their red and black fruit aromas and flavors, the touch of violet, and above all their good acidity give them the ability to combine with food without overpowering it. I am speaking of those wines that taste and smell like the grapes they are made from and the terroir in which the grapes are grown. I do not mean the big oaky international style wines that steamroll over everything, including the person drinking them! 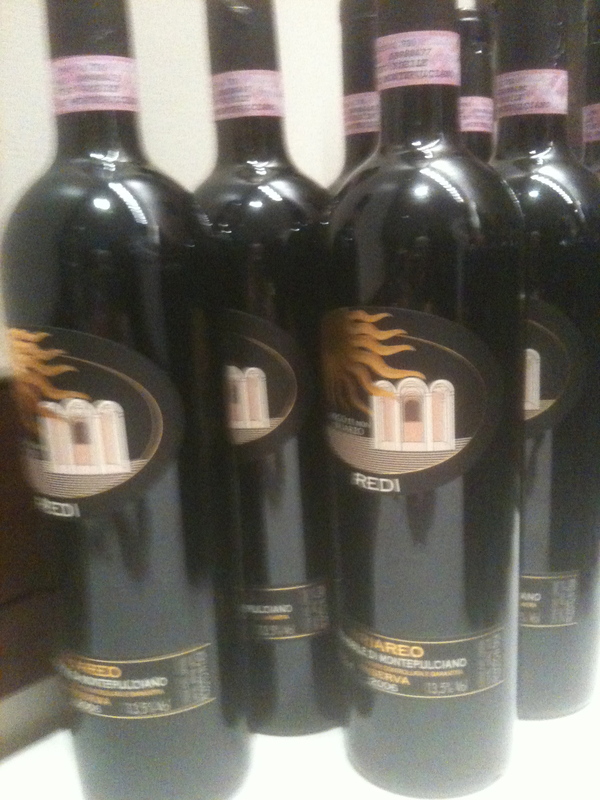 Wines like Chianti and Vino Noble di Montepulicano can be drunk and enjoyed with pasta, salami, pizza, etc. but what is often overlooked is that they go perfectly with meats, game, and all sorts of hearty dishes. The Leopard at Café des Artistes is one of my favorite Italian restaurants in NYC. The kitchen is best known for the foods of Southern Italy. When I was invited to a lunch there by Vecchia Cantina di Montepulciano , chef Vito Gnazzo matched their wines with typical Tuscan dishes, I wondered how it would work out. Chef Gnazzo made two dishes that were perfect combinations with the wines and could not have been better if I had them in Montepulicano! The pappardelle al ragú di cinghiale e funghi di stagione (pappardelle with wild boar and seasonal mushroom sauce), wide strips of fresh pasta were cooked “al dente” and married perfectly with the rich boar and mushroom ragu. 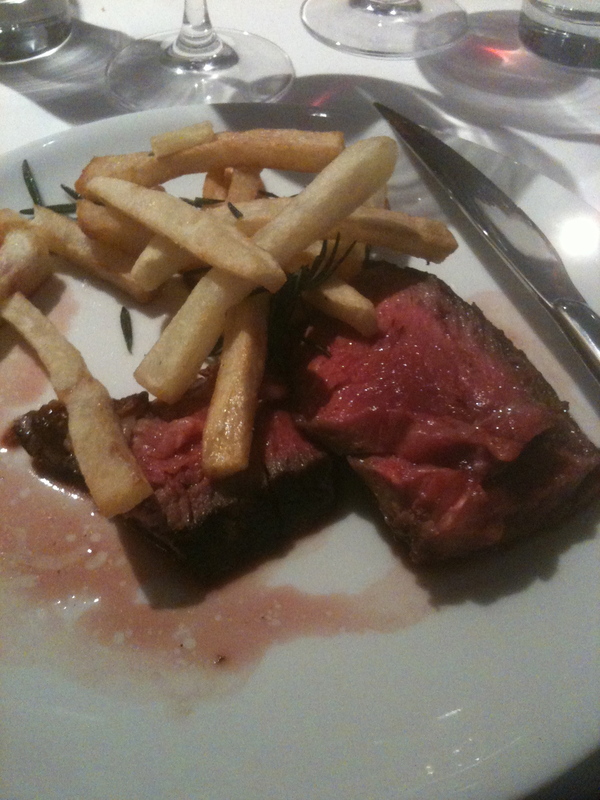 When they brought out the plates of Bistecca alla fiorentina con patatine fritte it was quite a sight! The sliced Florentine steak was perfectly prepared and complemented by the best thick-cut fried potatoes I have had in a long time. 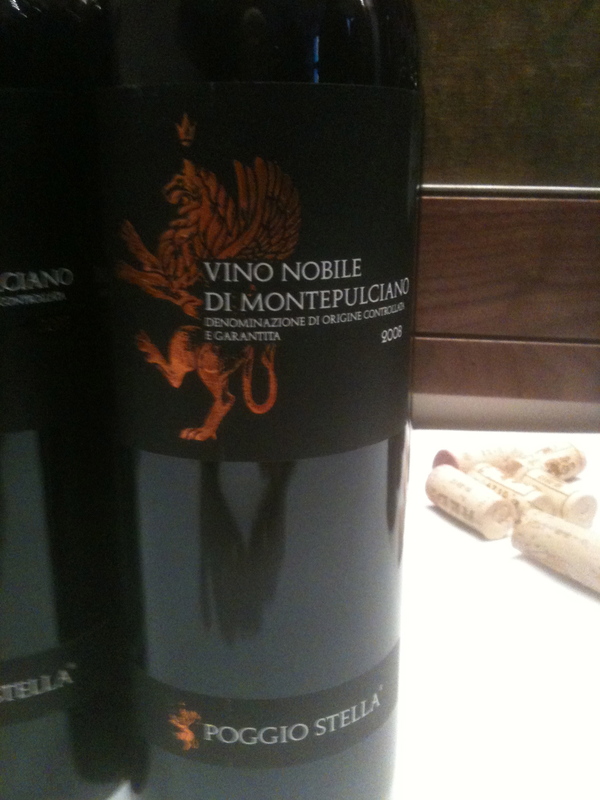 The Vecchia Cantina Di Montepulicano is the oldest cooperative in Tuscany established in 1937. There are over 400 supplying members. 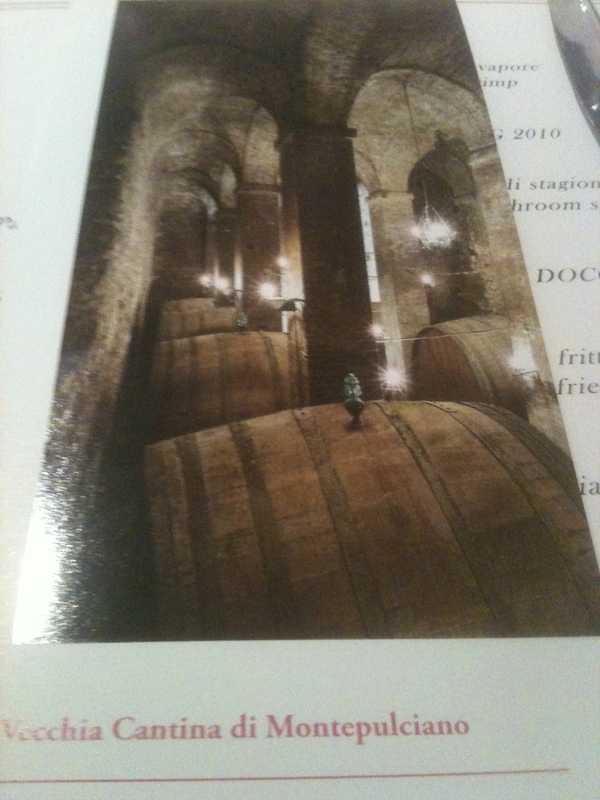 The wines we had with lunch were produced under their Poggio Stella and Cantina del Redi labels. Mr Ugo Pagliai, the enologist for Vecchia Cantina Di Montepulicano spoke about the Montepulicano area in general and what effects rainfall and temperature have on the vines and the harvest. 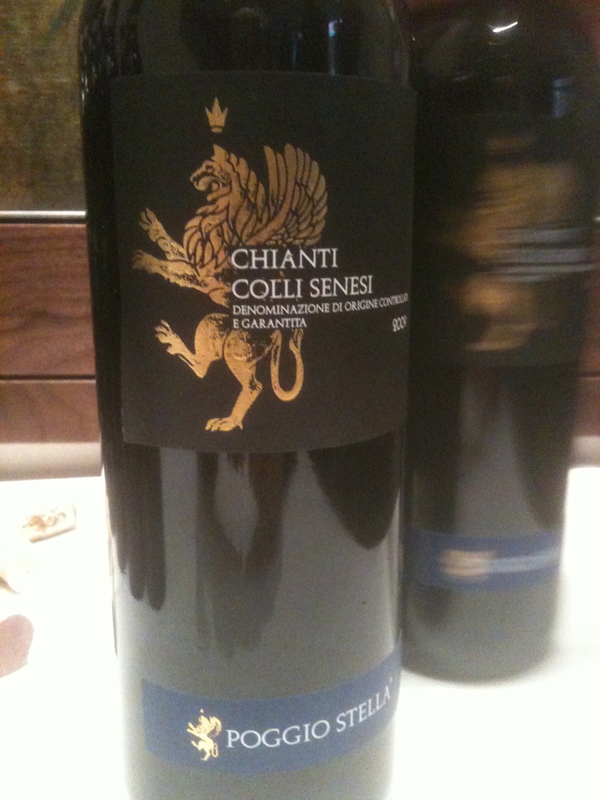 He also spoke about the different clones of Sangiovese, such as R24, which I believe is the most popular.